Muntinlupa Blood Council donates a Blood Donors’ ID Card Printer to the local City Health Office for its blood donation programs. 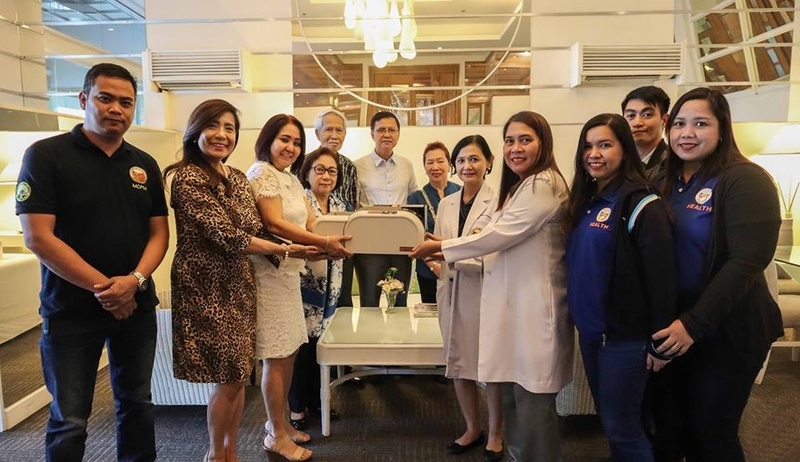 MBC president Dr. Tess Filoteo handed the equipment along with other council officials to City Health Officer Dr. Teresa Tuliao and other local execs on January 15. Regular donors are set to receive ID during the city’s voluntary blood donation events. Joining the turn-over ceremony were MBC officials Reynaldo Inocencio, Ms. Elvie Sanchez-Quiazon, City Health Office officials Dr. Magdalena Meana, Dr. Rowena Tan, MCPM chief Randy Garcia, and MCTI chief Francisco Santella.